Here was a great man. We need to keep dream alive. Equality for all. He was only 39 years old at the time of his murder and look at all he accomplished at such a youg age and what we hold dear the most was his passion. 1968 is a year that will live in infamy. It was a bad year in several ways - Rbt. Kennedy was shot, the cities burned...Never again 1968. 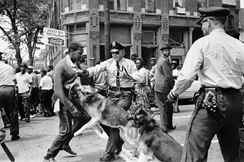 One of the worst and most shameful images of 1968. 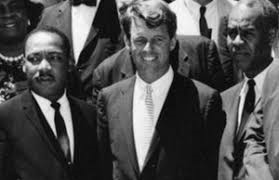 Sad memories on that horrible spring in 1968, when both men (MLK; RFK) were taken from this life by assassins bullets. Unfortunately, his dream will never come true, as long as there's hate in mankind which there is. One day when people learn to love and accept one another for who they are maybe that dream will come true.